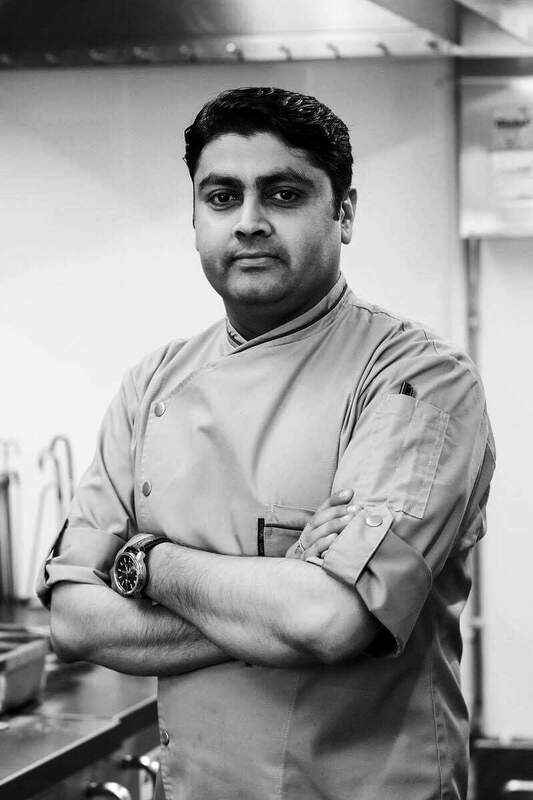 Before I tell you about my fantastic food experience, I guess this great chef does not need an introduction…I am talking about the talented Chef Rohit Ghai. I feel very privileged to know such a great chef but above all a genuinely nice person. The name of Jamavar Restaurant is being talked about and several good reviews written up already within one week of its in London, Mayfair. An invitation to taste Chef Rohit’s food creation could not go a miss, so here is the highlight of my culinary tasting and savouring evening at Jamavar last Saturday. I feel proud and lucky to live in such a country of cultural diversity and as we all know London is famed for its diversity in all cuisine. 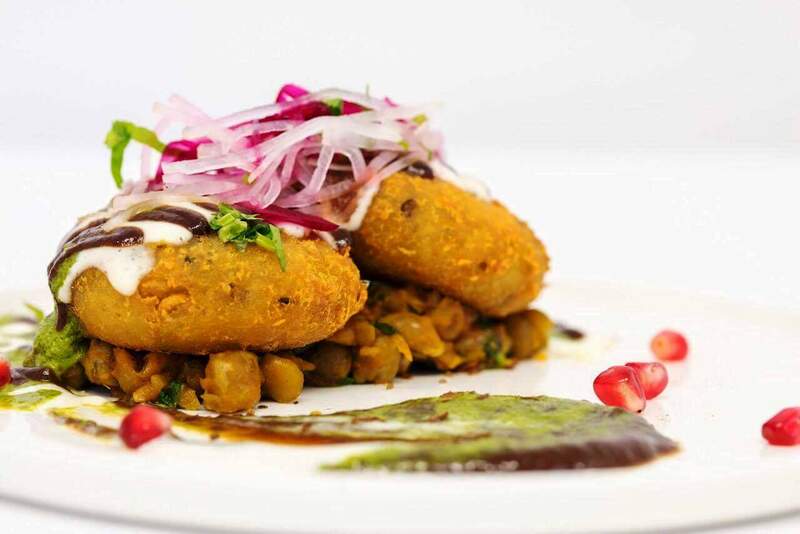 Now added to the list is another little gem of culinary Indian cuisine by Chef Rohit and his team who are showcasing and creating some mouth-watering regional Indian Cuisine whereby authenticity is not compromised. Sometimes when we eat nice food, there are certain things sits engraved in the mind. I love taking food photography, as each dishes tells a story. 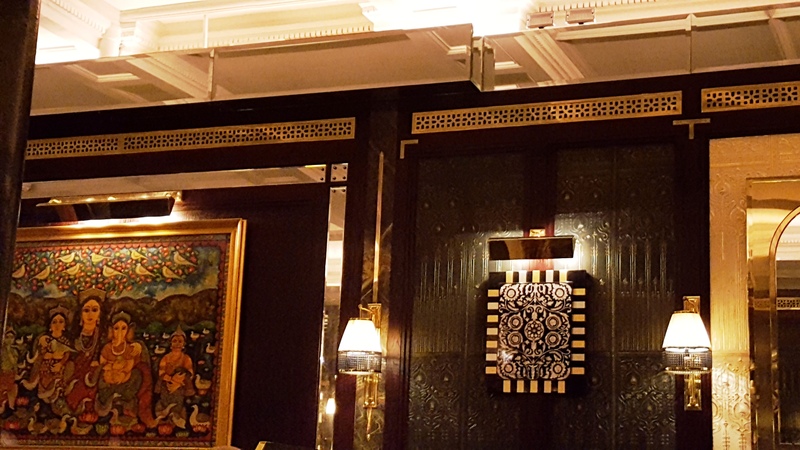 Talking and writing about food experience is another buzz for me….this time my wonderful experience was at “Jamavar”, signature Indian restaurant by the Leela Palaces, Hotels & Resorts. Just browsing through my photos now I am feeling hungry and thirsty. As we all know the first impression counts so much, well what can I say I certainly was well impressed as I walked through the door to the restaurant. It certainly had the London buzz, chic, elegant and sophisticated and more importantly very friendly and inviting. Loved the décor, beautifully designed with a brasserie bar on both level. So while waiting and unwind the place to be is by the bar where a good selection of drink can be chosen from the selection of drinks. That’s the time when my plate is empty and I start to tuck in the bowl with my finger…enjoy every bit. I am not sure which one of the dishes to recommend as they were all so tasty. My husband and I were lucky enough to try all the chef’s specials “chef’s table” menu. Started off with a drink of course, as starter Kid goat Shami Kebabs served with churchur pharata, beautifully presented in this little saucepan. 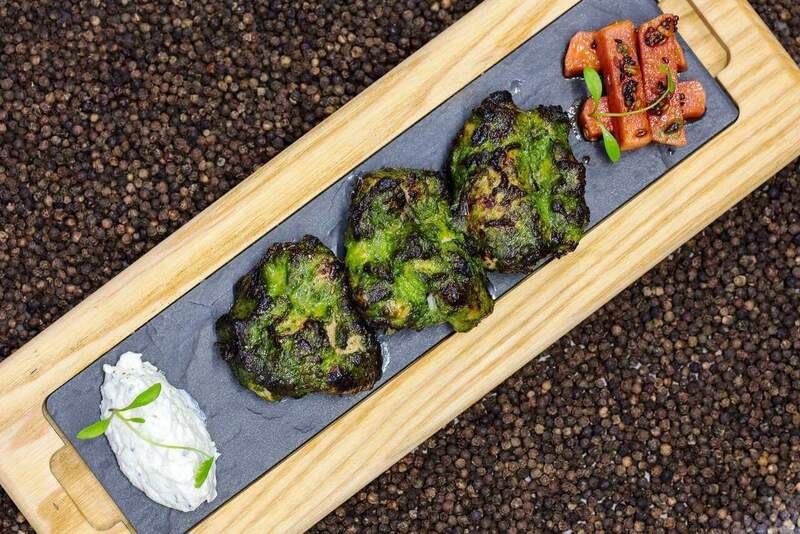 Grilled paneer, Tulsi chicken with mooli raita. 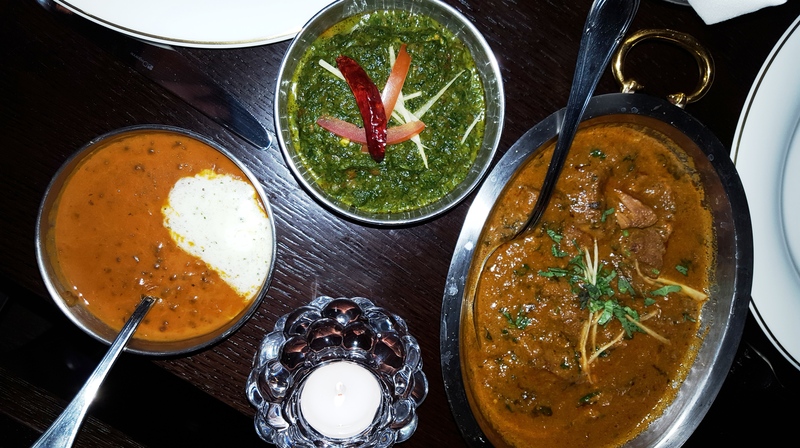 As for the main dishes, butter chicken that is so subtle and kindly spiced, Stone Bass Tikka, with an avocado chutney, lamb curry that was so tasty (just like my mum does it) that say something. Black lentil Makhani – I was eating it by the spoonful as it was too good, and did I mention Biryani. 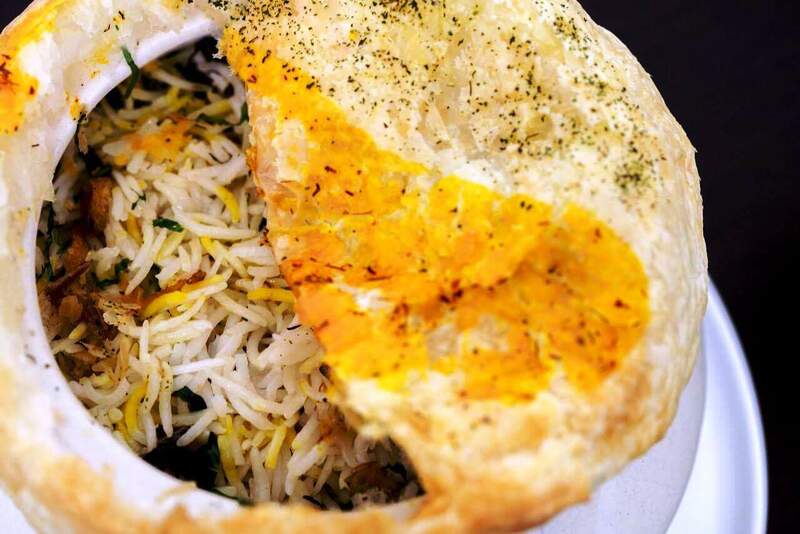 One you see a domed looking pot coming to your table, like most the envy to unveil it is enough to know the food must be good – Dum Biryani. 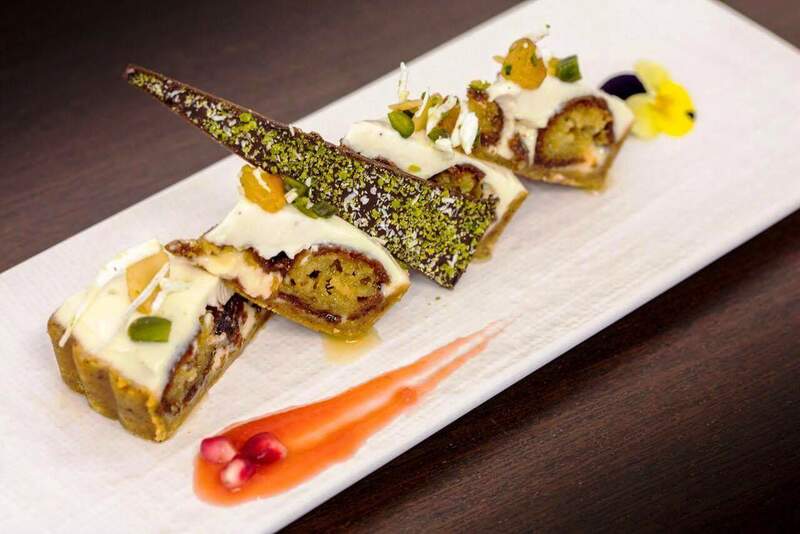 Onto the third course menu, I am sure many of you have had the famous sweet “mithai” Gulab Jamun and the moreish cheesecake, but how about when these two are combined – just close your eyes and imagine. 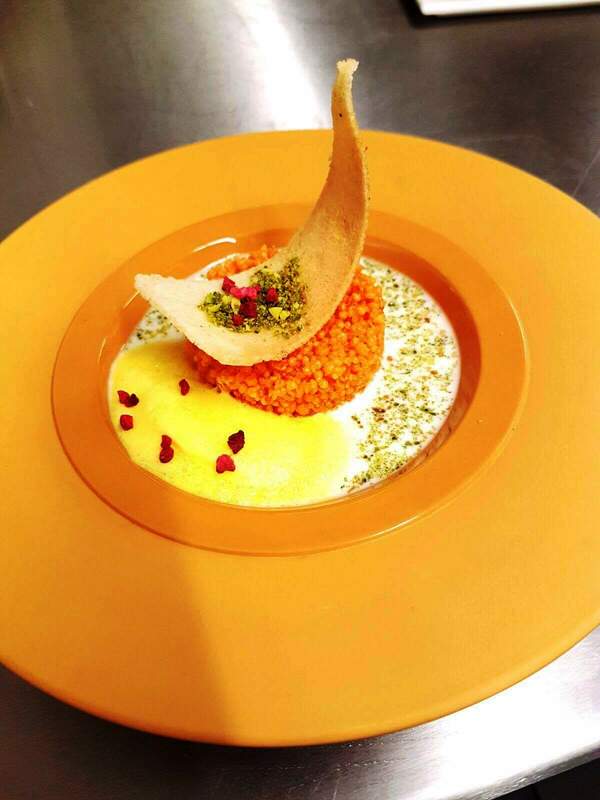 This is exactly what you may find on the dessert menu, a treat for sure. In addition to which we had “Jalebi” but not the usual type. 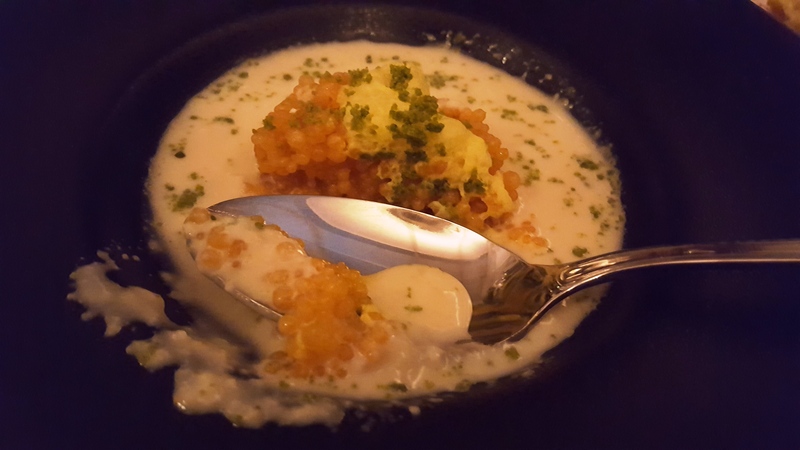 Let me tell you think sweet caviar, that pops in your mouth at the first spoonful hits the palate, yesses it’s Jalebi caviar – this time I will not describe any further I shall leave it to your imagination. Such food experience is one to remember, and I look forward to going back again to savour the rest of the dishes that I missed out this time. 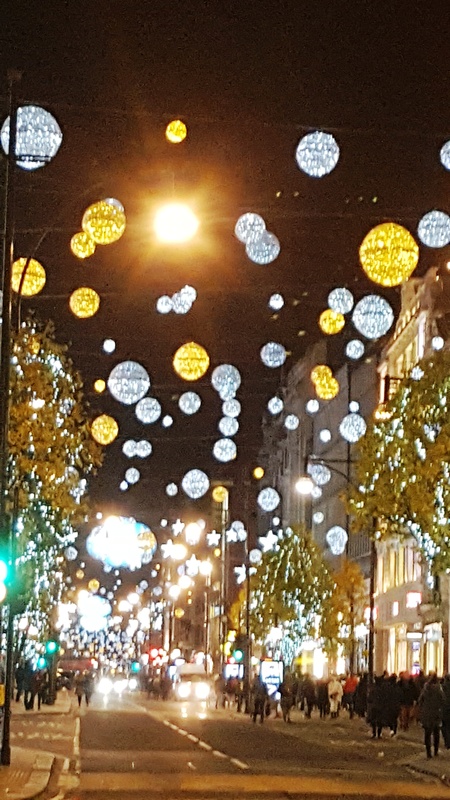 So if you are visiting the beautiful buzzing city of London, you certainly should not miss this address in Mayfair London, as it is fast becoming the place to eat. I must thank Chef Rohit for his hospitality and treating us to such a wonderful dining experience. Looking forward to my next visit to one of the great Indian restaurant in town.